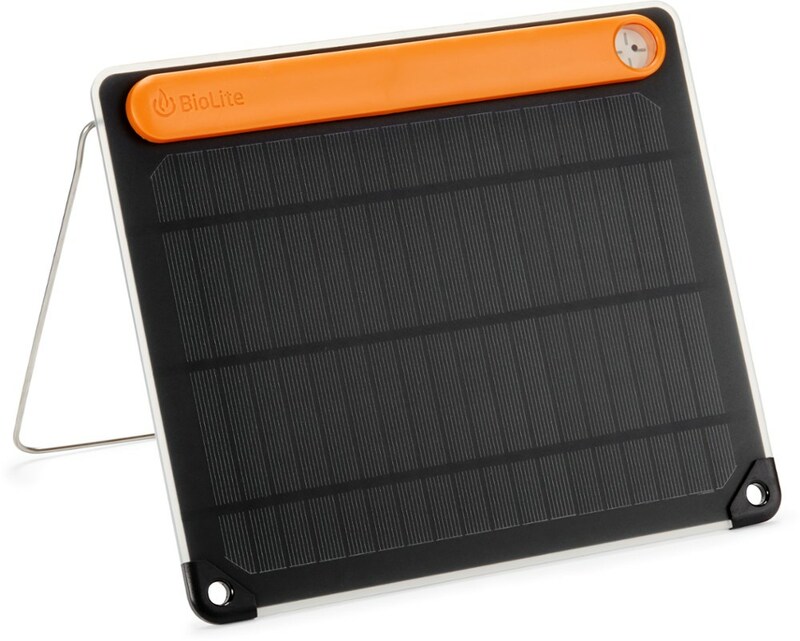 When you're sifting through sand and rocks in your gear and need a burly solar panel, you will want the Boulder 50 Solar Panel. It is built tough with tempered glass and an aluminum frame with corner protection. It also packs a kickstand that will let you follow the movements of the sun as you chase that horizon.Use with a Goal Zero portable power pack or portable power station to charge your gear day or night. 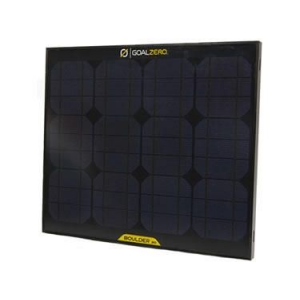 Goal Zeros rugged Boulder 50 Solar Panel uses durable tempered glass and a strong aluminum frame with added corner protection to be your reliable power source far from the nearest electrical outlet. Pair it with a Goal Zero portable power pack or portable power station (sold separately) to charge your gear day or night. 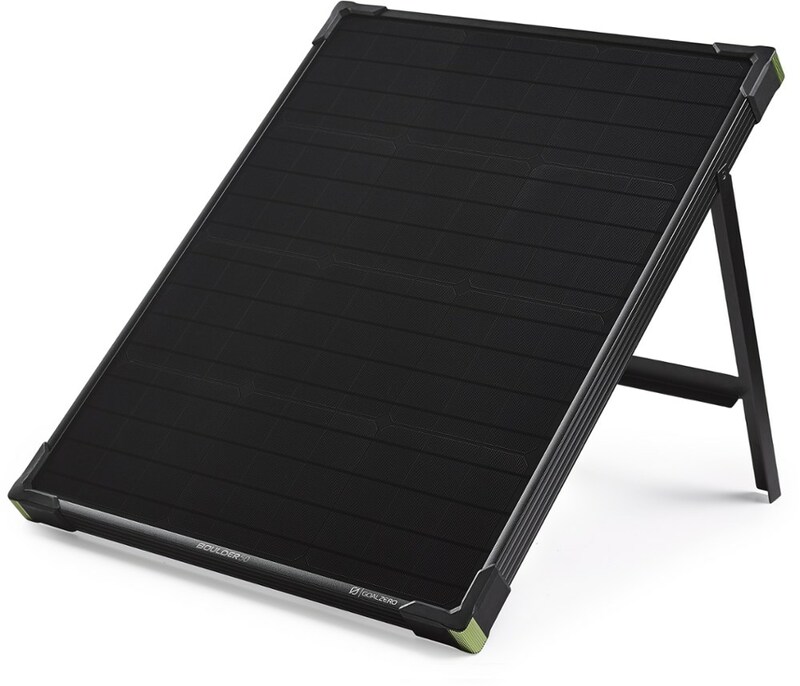 Integrated kickstand sets the solar panel at an optimal sun angle for charging. 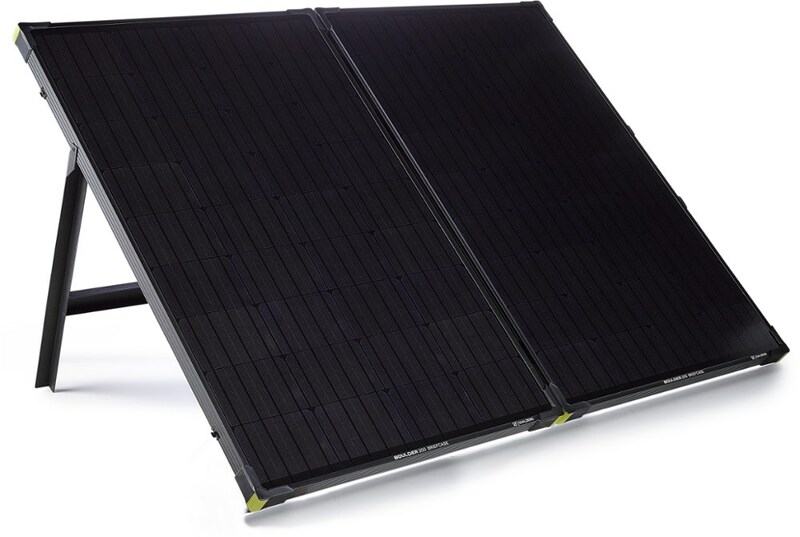 Solar panel has a 50-watt capacity with 8mm output. Chain together several Boulder 50 panels together to increase capacity. 21.75L x 26.75H x 1.75W. Wt: 12.4 lbs. Cancer and Reproductive Harm- www.P65Warnings.ca.gov. Type: Solar Panels. Goal Zero Camp & Hike Boulder Solar Panel 50 Watt 32406. 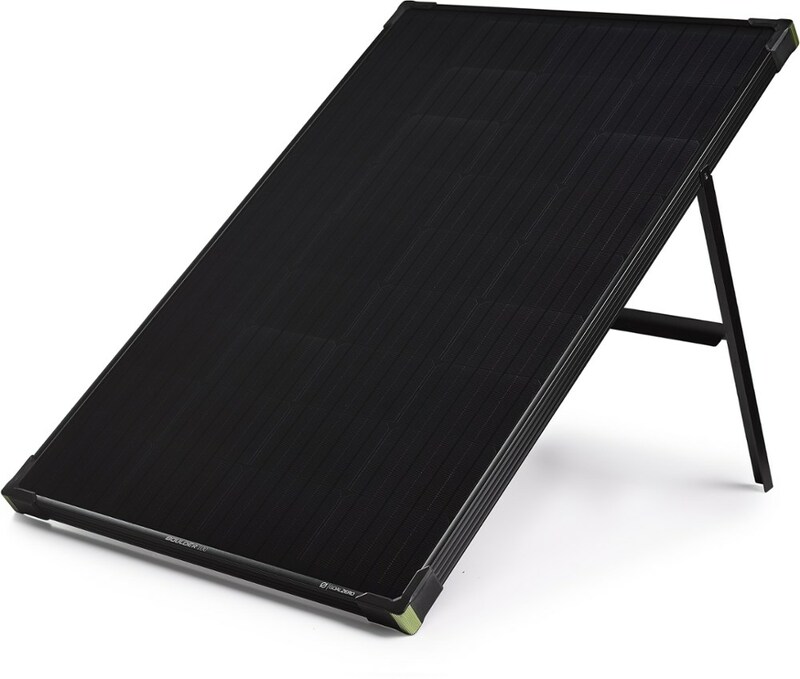 The Boulder 50 Solar Panel is built with strong tempered glass and an aluminum frame with added corner protection for temporary or permanent installation. Equipped with an integrated kickstand to help get optimal angle to the sun. 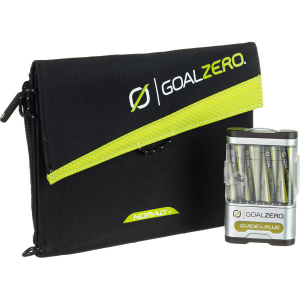 Use with a Goal Zero portable power pack or portable power station to charge your gear day or night. 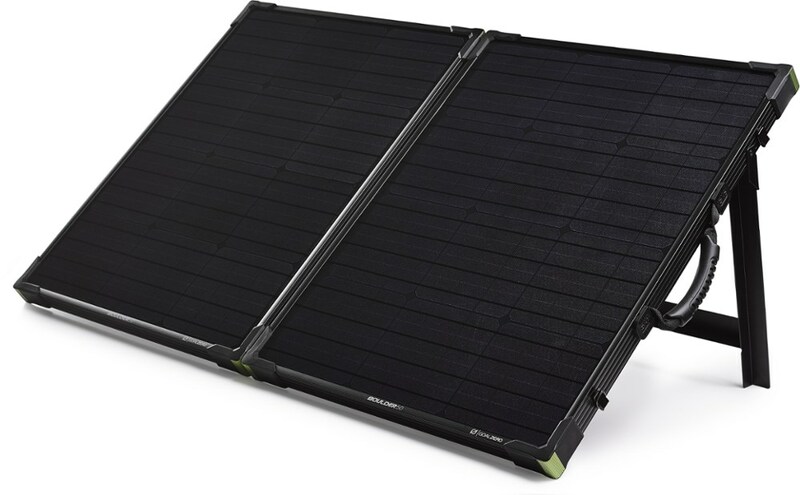 Capture off-grid power for your laptop, tablet and other electronic devices with the Goal Zero Boulder 50 solar panel. Its durable, rigid design is great for temporary or permanent installation.